Bundesliga | Schalke defender Naldo signs contract extension and says: “I might play until I'm 40"
Schalke defender Naldo signs contract extension and says: “I might play until I'm 40"
Naldo says he could still be frustrating Bundesliga forwards when he is 40 years old after inking a contract extension with Schalke. The 36-year-old Brazilian defender has added a year to his current deal with the Royal Blues, tying him to the Gelsenkirchen outfit until 2020 when he will be blowing out 38 candles on his birthday cake. "Perhaps I'll keep going and play in the Bundesliga when I'm 40," he said. "It's a great team with unbelieveable, loyal fans who are always behind us. I'm looking for to having more successful years with this great club." "It's great news for all Schalke people," said coach Domenico Tedesco, who left his veteran defender on the bench for Matchdays 5 and 6 to give him a breather. "He's a tremendous character on and off the pitch." The current campaign is his 13th in Germany, and comes hot on the heels of a 12th that could not have gone better. The Brazilian defender played every single minute of 2017/18 – at 35. Yes. 35 – while only seven players in the entire league won more individual duels as Schalke finished with the third-best defence in the top flight. Naldo also provided for the Royal Blues at the other end of the pitch, with seven goals matching his joint-best total in the Bundesliga, and making him the top-scoring defender in the league during the campaign. Having helped Schalke to a second-place finish last season, Naldo knew he could go again. "My goal was to qualify for the Champions League, we did that, and I would be crazy if I missed it,” Naldo, who has played both of Schalke's UEFA Champions League group stage games this season, told German sports magazine Kicker. "I felt very well, but I’m at an age now where one has to pay close attention to his body both mentally, but especially physically. 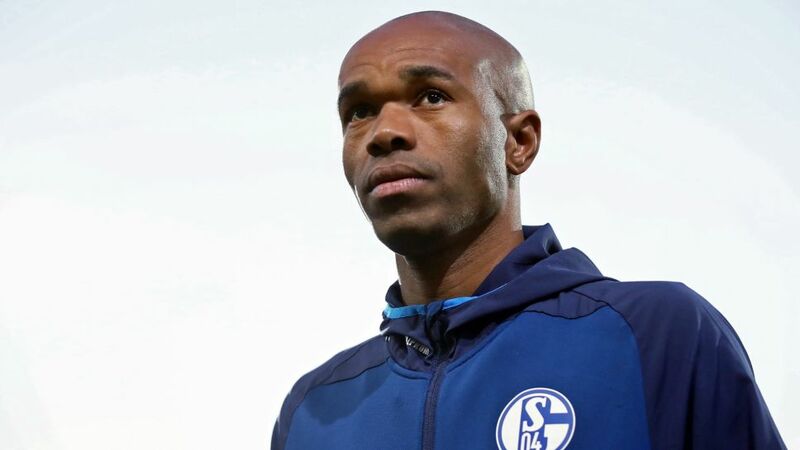 The only trouble Naldo would have had with his body during Schalke’s outstanding season was injuring himself during celebrations, especially after the key goals he scored against Borussia Dortmund and Eintracht Frankfurt. Sadly, his performances didn’t do enough to earn him a spot in Brazil’s 2018 FIFA World Cup squad – for whom the last of his four caps came in 2007. "When I consider how the second half of the Bundesliga, one of the strongest leagues in the world, went personally for me, I come to the conclusion that maybe my age was decisive in missing a call-up,” Naldo said. “I would have been very happy to be nominated, but also from afar, I kept my fingers crossed without resentment for my countrymen." After playing all 34 Bundesliga matches of a season for the first time in his career at 35 and still a key figure at Schalke, the former Werder Bremen and Wolfsburg man won’t be going into retirement quietly any time soon.